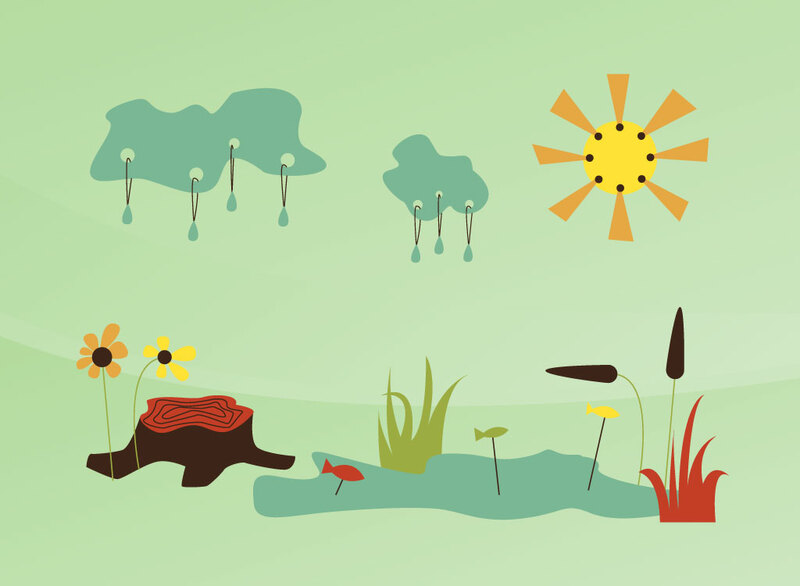 Playful cartoon nature graphics that includes a sun, clouds, tree stump with flowers and a pond of water with fish and plants. Use the elements in the free download together to create a fun kid friendly outdoor scene or separate them and use them in your logo and icons designs. Tags: Clouds, Drops, Fishes, Flowers, Lake, Outdoors, Rain, Summer, Trunk.